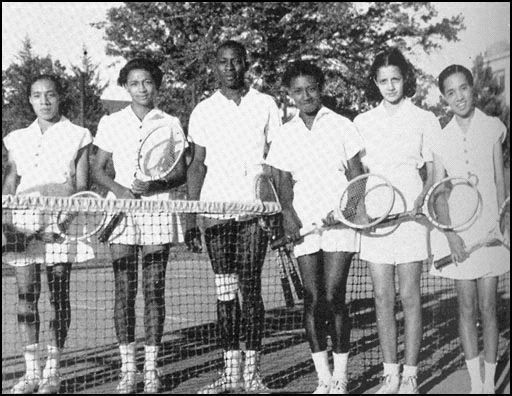 Tuskegee University tennis was a force to reckon with. Photo courtesy of Tuskegee University Athletics. With a seventh U.S. Open title on the line at this year's tournament, Serena Jameka Williams can break Steffi Graf's Grand Slam and record of 186 consecutive weeks at #1 in the world rankings. Owning 22 of tennis' most coveted prizes, "Meeka" can surpass Chris Evert for most U.S. Open singles titles won in the Open Era, inching closer to Australian Margaret Court's all-time mark of 24 Grand Slam championships. Bonnie Logan of Morgan State University. Photo courtesy of Bonnie Logan. 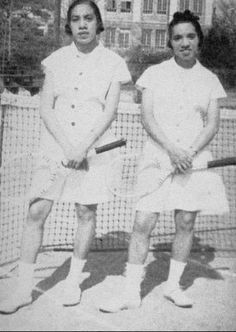 The original "Williams Sisters," Margaret and Matilda Roumania Peters of Tuskegee University were known as "Pete and Re-Pete." Courtesy of Tuskegee University Athletics. The Colored Intercollegiate Athletic Association (1912-50), is the oldest African American athletic conference in the United States, later became the Central Intercollegiate Athletic Association. The CIAA's first championship winning tennis team was Howard University's Men's Tennis in 1923-24. 2001-02 marked the first CIAA Women's Tennis Championship with Fayetteville State University claiming victory. Prairie View A&M University Men's Tennis claimed the first Southwestern Athletic Conference Championship in 1938. Southern University claimed the SWAC's first Women's Championships in 1988. 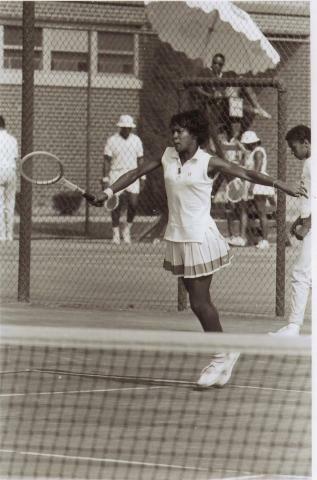 In 1972 North Carolina Central University won the Mid-Eastern Athletic Conference first Men's championship; South Carolina State University Women's Tennis program did so in 1986. The National Association of Intercollegiate Athletics is home to several MSIs. The winner of the NAIA's first Men's championship was Pepperdine University in 1952; Grand Canyon University (Ariz.) won the women's title in 1982. 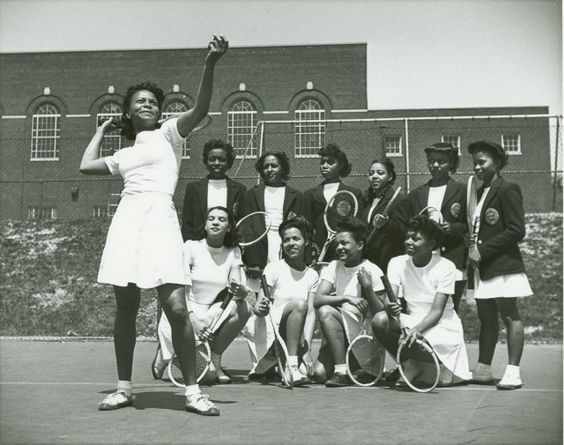 Howard University Women's Tennis in the 1930s. Photo courtesy of Howard University Athletics.